Dumpster rentals in Atlanta are a crucial element of any effective waste management plan. A roll off dumpster rental allows you to collect a high volume of trash and waste in a centralized location until trash pickup day, and also protects the public from the sight and smell of the waste disposal process. Watch this video clip for a first-hand look at a 50-ton roll off dumpster being picked up by a trash company. Once the waste within the dumpster has been emptied into the back of the dumpster truck, it will be taken to a landfill for waste disposal. 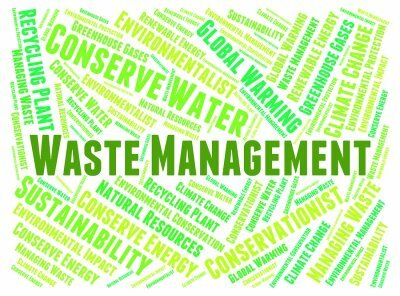 All businesses generate a significant amount of waste near Atlanta, but there are different ways you can go about disposing of it. Restaurants may deal with a particularly substantial amount of waste, which is why it helps to be responsible when it comes to waste disposal. From regularly refining your menu to disposing of your waste in a more responsible manner, there are many steps you can take to cut down on waste. Here are some essential tips for reducing restaurant waste. Your restaurant’s menu is a piece of art, and it deserves careful consideration. Since it is also a part of your business, however, it should be reevaluated on a regular basis. While underdeveloped nations survive on minimal amounts of food, many developed nations waste incredible amounts of perfectly good food products. People tend to stick to what they like when they order food at a restaurant, but there is still a great deal of waste. Keep an eye on what your plates look like when they return at the end of a meal; if you notice that a few meals in particular are rarely finished, consider adjusting your portion size or changing the recipe. This will keep more food in stomachs and less in landfills. One of the most prevalent forms of reducing waste is recycling, and your restaurant is capable of jumping on board. With today’s societal shift towards environmental consciousness, recycling is simple. Separate your recyclables in order to keep them out of landfills, and make sure you have both garbage cans and recycling bins available in your establishment. You can even recycle oil and cooking grease; biodiesel firms can make use of these byproducts, so avoid throwing them away. 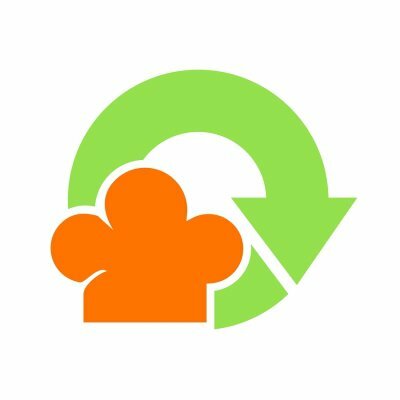 A large percentage of waste that a restaurant generates is food waste, but food waste does not have to end up in the trash. Consider starting a composting program in order to put your food waste to better use. Through a composting system you can use your food waste to enrich soil and help the environment instead of hurt it. There are very specific and strict guidelines in place for nursing home waste management in Atlanta . Any medical facility that generates medical waste must develop a comprehensive waste management program that meets all of the medical waste disposal and recycling regulations that are in place. Here’s how you can make sure that your nursing home is meeting your state’s waste management requirements. Your employees and tenants should be given the opportunity to recycle their reusable materials whenever possible. Contact your local recycling center to find out what materials they’re capable of recycling. Set up recycling bins throughout the building in convenient, easy to reach locations. Make sure that employees and tenants understand all necessary recycling facts, like the location of recycling bins, when they’re picked up, and what materials can and can’t be recycled. Recycling centers may offer paper, scrap metal, electronics, plastic, film, universal waste, food waste, fryer oil, and recycling. 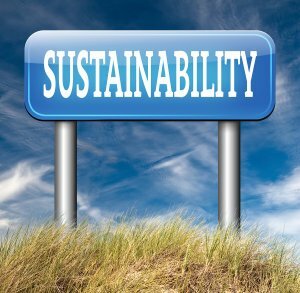 Encourage your employees and tenants to make an effort to reduce waste production. Suggest that they use reusable dishes and cutlery for their meals, rather than disposable ones. Organize tenant swap meets, at which tenants can bring unused or unneeded items to a central location to donate to or swap with other tenants. Reuse packaging materials, like boxes, envelopes, and bubble wrap. Discourage employees from unnecessarily printing out company emails, memos, or documents. Only purchase recyclable items, recycled items, and reusable items. Buy goods in bulk, and buy goods that utilize minimal packaging. While many items and materials can be reused and recycled, there are strict state and federal regulations concerning medical waste disposal. Used sharps, such as needles, lancets, and syringes, can never be reused. They can only be disposed of in designated sharps containers. Used medical gloves, bandages, tissues, cotton swabs, and other medical products should be secured in plastic bags before waste disposal or trash pickup. Ask your red bag waste disposal company if they offer reusable red bag medical waste disposal containers. If your company produces commercial or industrial waste in Atlanta , you may want to set up bulk waste removal services with your local waste management company. This service allows you to remove large, unwanted items from the premises. Junk removal and waste removal frees up space, and significantly reduces the risk of potential health and safety issues. A bulk waste removal service provides waste disposal for appliances, electronics, computers, furniture, construction waste, and even furniture. These materials can be reused and recycled at a local recycling center. By implementing a bulk waste removal program for your business, you can reduce waste, reuse and recycle valuable materials, and decrease your waste disposal costs. An effective waste and junk removal service can reduce fire hazards and company liability by picking up and disposing of cumbersome items that may be preventing employees from moving freely about the building. Your business will also run more efficiently when your employees have more room for production.